Catholics throughout the United States are preparing to participate in a Fortnight for Freedom, a two-week period of prayer, reflection and education regarding the issue of religious liberty, culminating on July 4 when churches throughout the nation will ring their bells in a sign of solidarity for the protection of this First Amendment right. Bishops throughout the country have been urged to arrange special events to highlight the importance of defending religious freedom. 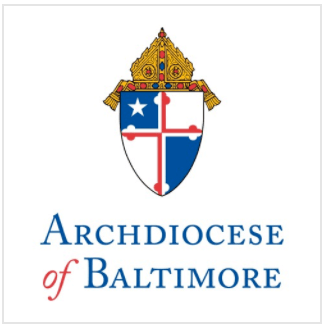 In the Archdiocese of Baltimore, a national kick-off Mass, celebrated by Archbishop William E. Lori, Archbishop of Baltimore and Chairman of the U.S. Bishops’ Ad hoc Committee for Religious Liberty, will take place at the Basilica of the Assumption in Baltimore on June 21st at 7 p.m. It will be broadcast nationwide by EWTN and streamed online at www.archbalt.org. Catholic churches across the Archdiocese of Baltimore will host events during the Fortnight. A complete listing is available at www.archbalt.org. In March of this year, the U.S. Bishops called for the Fortnight for Freedom in the wake of the Department of Health and Human Services’ mandate requiring all churches to fund and facilitate in its employee health care plans “services” that violate the teachings of those churches. Specifically, the mandate will force churches to fund abortion-inducing drugs, sterilization and contraception. The Church contends that a very narrow exemption would not apply to most Catholic institutions because they hire and serve people of all faiths and no faith at all. Archbishop Lori, who will be in Rome for a portion of the Fortnight, will speak about the threats to religious liberty in the United States before the Observatory of Religious Liberty, recently created by the Italian Ministry of Foreign Affairs in cooperation with the City of Rome, on June 28.